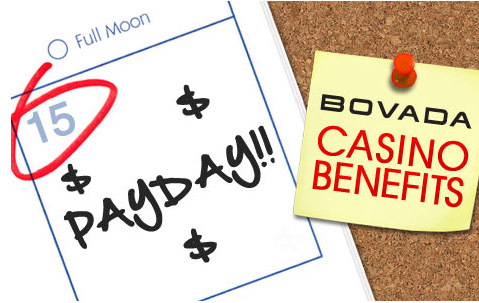 For those who play at Bovada Casino, or for those who may be thinking of doing so, Bovada offers a promotion called “Casino Benefits”. 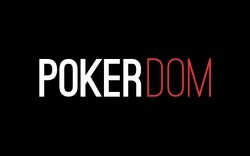 This is essentially a VIP Program that you see offered on various other online poker sites and casinos. You earn points and then can turn around and convert those points for casino chips. Pretty standard stuff. * All forms except Single or Double Deck Blackjack. If you play slots, you have to bet $10 to earn… 3 pennies. If you play table games, you have to bet $10 to earn… 2 pennies. If you play Blackjack (allowed variations) or Video Poker, you have to bet $10 to earn… 1 penny. If you play Single or Double Deck Black, you have to bet $25 to earn… 1 penny. How Much Extra Will I Earn Clearing the Bonuses? While playing Slots, you can receive up to a $500 bonus. The wager requirement is 25x, meaning you have to bet 25 times your deposit and bonus amount, for a total of $25,000. Wagering $25,000 will earn you 7,500 total points. When converting to cash, those points have a value of $75. This increases value of bonus by 15%. The $500 bonus can claimed up to four times for a total of $300 on top of $2,000, for $2,300 total. While playing Table Games, you can receive up to a $250 bonus. The wager requirement is 25x, meaning you have to bet 25 times your deposit and bonus amount, for a total of $20,000. Wagering $20,000 will earn you 4,000 total points. When converting to cash, those points have a value of $40. This increases value of bonus by 16%. The $250 bonus can be claimed up to four times for a total of $160 on top of $1,000, for $1,160 total. While playing Video Poker or Blackjack*, you can receive up to a $250 bonus. The wager requirement is 25x, meaning you have to bet 25 times your deposit and bonus amount, for a total of $20,000. Wagering $20,000 will earn you 2,000 total points. When converting to cash, those points have a value of $20. This increases value of bonus by 8%. The $250 bonus can be claimed up to four times for a total of $80 on top of $1,000, for $1,080 total. While playing Single or Double Deck Blackjack, no bonus is offered. This means you can still play these games to collect points, but no bets will count towards the overall wager requirement. So when you add the extra free chips you receive from Bovada’s Casino Benefits on top of the deposit bonus, it starts to look better… that is if you don’t play single or double deck blackjack. Even video poker players can earn an extra 8%, which isn’t too bad. That being said, the bonus is pretty difficult to realistically clear with a small bankroll. See our full breakdown of clearing the Bovada Casino bonus here. You do nothing expect earn them. Once you accumulate a total of 500 or more points, Bovada will automatically convert the points and deposit the chips into your account every other Friday. You keep your points balance until you have at least 500, which is equivalent to $5. Once points are converted they disappear into the void of the universe. Cash earned from points have no wager or clearing requirement. Bovada Casino Benefits are pretty weak. However, if you’re a bonus grinder with a large bankroll determined to clear the full $3,000 Bovada has to offer players, then an extra 8% (or 15% if you dare try your luck at slots) for doing nothing is pretty nice. The Red Room is a special invite only VIP Program introduced by Bovada in early 2015. Red Room players receive special bonuses, are invited to exclusive events, and earn points at twice the rate as regular VIP members. In other words, all of the above tables would be doubled for Red Room members. This means that the 7,500 points you’d collect by clearing the $500 slots bonus would actually have a value of $150, for a 30% increase overall. Video Poker players would see $40 from their points, for a 16% increase on the bonus. This is a huge improvement and makes the points twice as valuable. That being said, Red Room is invite only at this time. Bovada is very hush hush on how they select players to add to the Red Room. It’s not currently known how you can become a Red Room player. However, it’s safe to assume that it has something to do with how much you wager. The more you wager, on a consistent basis, the more likely you’ll receive an invite. The Red Room VIP club is open to Sports, Casino, and Poker players. If Bonus Ace learns more on how Bovada selects members for its Red Room club, we will certainly update this post with those details.